The stock also shifted to ‘B’ group from ‘T’ group earlier. In the trade-to-trade category or ‘T’ group, no speculative trading is allowed and delivery of shares and payment of consideration amount are mandatory. The counter has seen huge trading volumes with a combined 3.62 million equity shares, representing 6 per cent of the total equity of Arvind Fashions, changing hands on the NSE and BSE. There were pending buy orders for 154,110 shares on both the exchanges at 10:56 am. In comparison, the S&P BSE Sensex was down 0.88 per cent at 37,830 points. The Lalbhai Group company was listed on the bourses on March 8, 2019. The stock made market debut at Rs 592, appreciating 79 per cent since then. Arvind Fashions is the demerged entity of the flagship denim maker Arvind and comprises international brands such as Tommy Hilfiger, Calvin Klein and US Polo Association. Its branded apparel undertaking and engineering undertaking was transferred to Arvind Fashions and Anup Engineering (formerly Anveshan Heavy Engineering), respectively. Shares of Anup Engineering were listed on March 1. 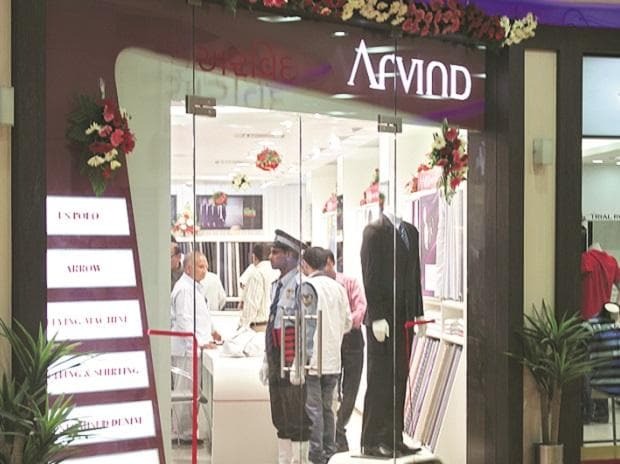 Analysts at Antique Stock Broking believe that Arvind Fashions is well positioned to record stable growth in revenue, expansion in margins and improvement in cash flows. This, in turn, should trigger multiple re-rating. The company has undertaken several strategic initiatives across its business segments; brand portfolio, value fashion retail store "Unlimited" and premium beauty retail store "Sephora" to drive revenue growth. In the brand portfolio, power brands are likely to lead growth backed by channel expansion and focus on high growth categories (kids wear, innerwear, footwear, accessories). In value fashion retail, Arvind Fashions has accelerated store addition rate from 15-20 store during FY16-18 to 35-40 stores p.a. during FY19-22e. “As per management guidance, value fashion retailing is likely to achieve breakeven by FY20e. AFL is a leader in premium beauty segment. The company is likely to drive the expansion of beauty stores (a.k.a Sephora) by penetrating small cities. Further, management guides for divestment of 2-3 non-core brands by 1HFY20e,” the brokerage firm said in company update.